Announcing the Magdalena Tarot Winter and Spring 2018 Partners! Once a season Magdalena Tarot switches Tarot decks so to continue to provide engaging, quality artwork to readers. Magdalena Tarot Partners are creators of Tarot decks that have teamed up with Magdalena Tarot to bring you the forecast each week. These artist give Magdalena Tarot permission to use their work in exchange for exposure to Magdalena’s large network of international readers. I’m currently warping up my partnership with the Darkness of Light Tarot by Tony DiMauro and saying hello to The Atomic Tarot on January 22, 2018! 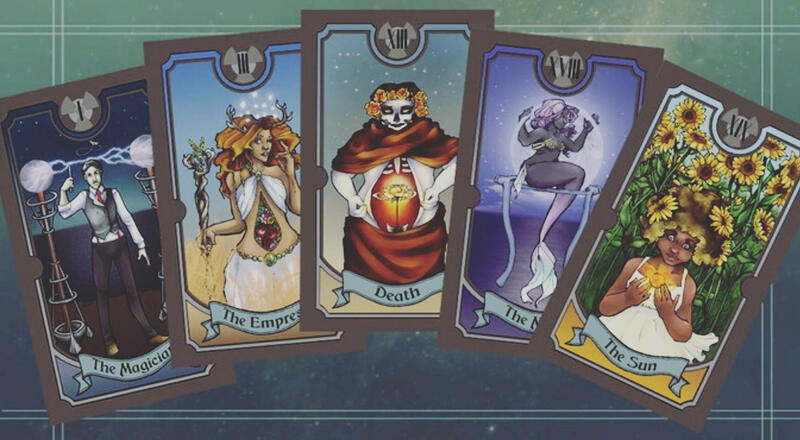 The Atomic Tarot by the Atomic Pixies is a comic illustration based deck that combines science and nature. The suits and court cards have been renamed to fit the theme so it will be an adventure using this deck! There’s also a free downloadable book to accompany the deck at http://www.atomicpixies.com/ so you can read along and learn about this twist on the tarot. I plan to use the Atomic Tarot through April. Coming right off the heels of the Atomic Tarot will be the Naked Heart Tarot by Jillian C. Wilde. What caught my eye about this deck was the beautiful color pencil illustrations that were complicated yet simple and clean at the same time. 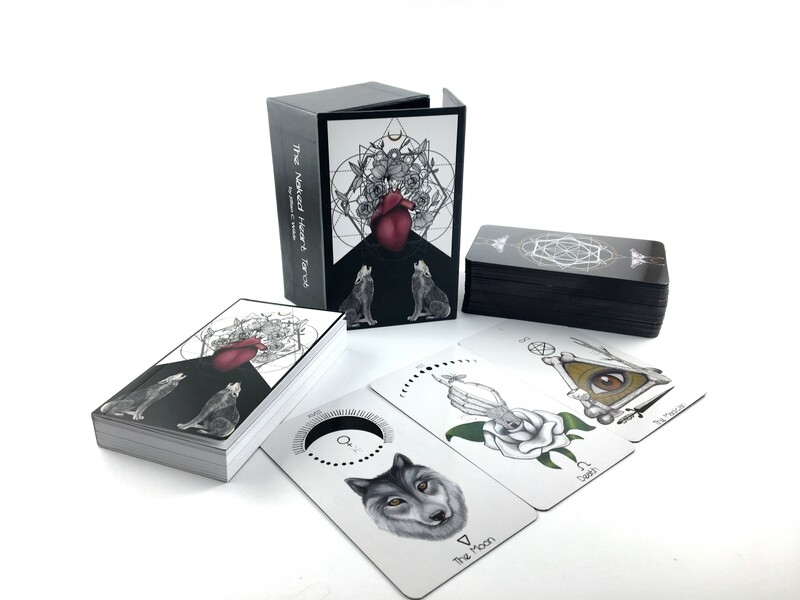 It is designed to help you get in touch with whatever speaks to you — spirit guides, totem animals, angels; whatever your calls to your intuition can be tapped through this beautiful deck. This deck will be in play from the end of April all the way through July. I’m really excited about exploring these decks with you and I hope you are too! Please head over to the websites of the creators, take a look around and order a deck if you want to play along with me! This entry was posted in art, Astrology, Atomic Tarot, Books, Magdalena Tarot Partners, mysticism, mythology, Naked Heart Tarot, numerology, occult, self help, spirituality, Tarot, Uncategorized, witchy, Writing and tagged abundance, art, astrology, card a day, divination, empowerment, inspirational, Magdalena Tarot Partners, magick, manifestation, meditation, mysticism, numerology, occult, pagan, predictions, psychic, self help, spiritual, spirituality, tarot, tarot decks, tarot reading, tarot weekly forecast, wicca, witchcraft, witchy, writing. Bookmark the permalink.